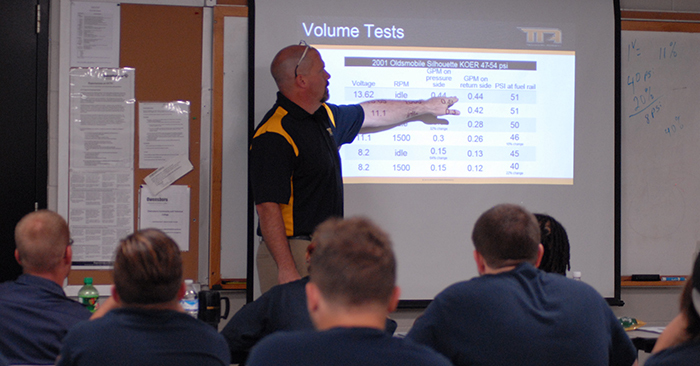 Technician.Academy meets the need for up-to-date, relevant training by offering online classes covering industry-specific topics for automotive technicians. Our online classes provide the technician the opportunity to take courses on-demand 24/7 allowing technicians to learn at a pace that fits their schedule. At the end of each course, the technician is able to take a short quiz to measure the knowledge gained. Soon technicians will also have the opportunity to obtain specialized certifications. The goal of Technician.Academy is educating the technician of today and tomorrow! A firm understanding of a vehicle’s electrical system is a necessity for today’s automotive technician. The purpose of this course is to give the reader general knowledge of the relationship between voltage, amperage, and ohms. The instructor explains how to properly diagnose an electrical circuit with a digital volt ohmmeter (DVOM).This class will lay the foundation for future courses for more in-depth electrical training. This course is designed to provide a guide to basic tools and components to properly repair an automotive wiring harness. Wiring within the automotive application can be damaged in many different ways and sometimes in difficult to access the damaged wire locations. This course addresses some different types of repair connectors thus providing alternate ways to repair damaged sections of wire within the vehicle harness. Air conditioning is a standard item on today’s vehicle. So, it is an item that will require service sometime during the vehicle’s life. This course is designed to provide a general overview of the operating characteristics of today’s basic A/C system along with some general repair guidelines. Once you have finished this course, you will have a foundation on how today’s system operates and be able to build upon that knowledge with future courses. Proper operation of the fuel system in a vehicle is necessary for the engine to run correctly. The purpose of this course is to gain a greater understanding of the balance between the fuel pressure and volume in the fuel system in order to diagnose any problems with the operation. This course will lay the foundation for future courses, which will investigate voltage in the fuel system and how it affects drivability.